Associated Anesthesiologists, P.C. » Woerth, Lyle E., M.D. Home / Woerth, Lyle E., M.D. / Employees / Anesthesiologists / Woerth, Lyle E., M.D. 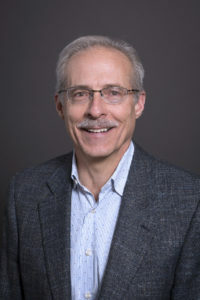 Lyle E. Woerth, M.D. is a native of Scribner Nebraska. Dr. Woerth completed a Bachelor of Science degree from the University of Nebraska in Lincoln Nebraska in 1980. Dr. Woerth then completed his medical school at the University of Nebraska Medical Center in 1984. Dr. Woerth completed an internship in Internal Medicine at the University of Nebraska Medical Center in Omaha in 1985 and then completed an Internal Medicine residency at the University of Nebraska Medical Center in Omaha in 1987. Dr. Woerth went back to the University of Nebraska Medical Center in 2000 and completed an Anesthesia residency in 2003. Dr. Woerth is Board Certified by the American Board of Anesthesiologist and he is also Board Certified in Internal Medicine. Lyle is married with 2 sons. Personal interests include wind surfing, travel and spending time with his family. Dr. Woerth has been with Associated Anesthesiologists, P.C. since February 2017.